CBD Oil Review rates HealthSmart CBD with four stars because it qualifies for the Quality, Safety, Mission & Innovation Badges. 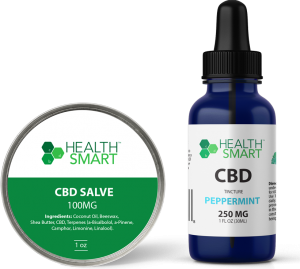 HealthSmart CBD focuses on natural solutions for optimal wellness, and they do so by procuring remarkable products with transparency and passion. Additionally, the company seems genuinely committed to educating its customers with a wealth of organized information and links to published studies on their website, all without making any lofty (not to mention unethical) claims. Organic ingredients and online independent test results for each SKU reinforce a responsibility to safety and quality that we always love to see. Save 15% off of all HealthSmart CBD! HealthSmart CBD only offers full spectrum products, standing behind the benefits not only of CBD, but accompanying terpenes, fatty acids, and phytochemicals that work synergistically with the human endocannabinoid system. Industrial hemp of top-notch genetic lineage is grown using organic methods (no herbicides or pesticides) and undergoes CO2 supercritical extraction. It is then refined via chromatography, resulting in premium hemp distillate oil. HealthSmart CBD has an impressive product line with industry staples and some different offerings we don’t see every day. Their tinctures are suspended in organic MCT oil in cinnamon and peppermint flavors that contain a proprietary terpene blend. A powerful salve for transdermal relief contains CBD and terpenes along with organic beeswax and coconut oil that provide a potent moisturizer. Quality vape pens and cartridges are available, and we like what’s inside: organic ingredients and no artificial diluents or carriers. HealthSmart CBD also sells capsules on their website, but these are manufactured by a third-party vendor. The surprising product is the industrial hemp flower. HealthSmart CBD sells actual cannabis flowers, but their THC has been removed, falling below the 0.3% threshold and effectively making them completely legal. There are six different strains to choose from that can be used for smoking or as ingredients in food. 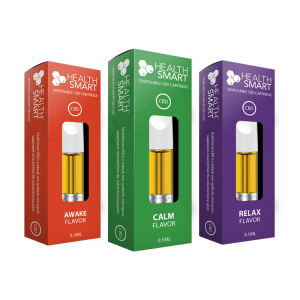 HealthSmart CBD shrewdly offers subscription options for vapes and accessories plus combinations of their products. We are seeing CBD purveyors slowly making the move into the subscription space, and we consider it a win-win for both consumers and producers. Bottom Line – HealthSmart CBD has quality products and they meet our safety standards by posting up-to-date lab results for each SKU. The only lacking area is charity, as we don’t see them actively engaged in special discounts or affiliations with non-profits. Other than that, we have confidence in the brand as a solid organization with quality formulations. HealthSmart CBD utilizes industrial hemp grown under organic practices and processed via CO2 supercritical extraction and advanced chromatography. HealthSmart CBD regularly publishes independent laboratory tests for each SKU online. HealthSmart CBD provides natural solutions for optimal wellness through transparent and efficient full spectrum products. 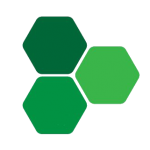 In addition to using advanced chromatography to refine their compounds, HealthSmart CBD offers exciting product varieties like hemp flowers (sans THC) and subscription options.